US investment research house Zacks has suggested that major satellite TV operator DISH Network (the second-largest pay-TV operator in the US) is planning to launch an over-the-top (OTT) video service targeting younger viewers. The research house mentions no sources when making these claims, but observes that the acquisition of DVD rental chain Blockbuster has given DISH access to a huge store of online movies, which would further enhance its video streaming services. 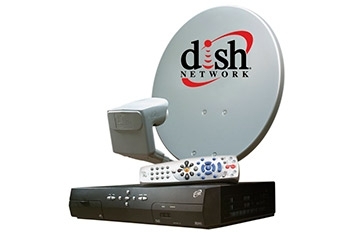 An over-the-top service is also expected to be more effective at winning over younger viewers who do not wish to sign up for expensive and lengthy contracts, but are still interested in paying for some of DISH’s content. Factors in favour of such a launch include the growing saturation of the pay-TV market in the US, the growing penetration of smartphones and tablets, and the increased rollout of 4G LTE mobile networks. DISH already operates an OTT service in other parts of the world called DISHWorld, which launched last May on the Roku streaming player. Editor’s note: These rumours certainly deserve attention, given that satellite TV operators in other parts of the world (such as BSkyB in the UK) have already started to see success with similar initiatives. However, it is significant that Zacks mentions no sources in making these claims, making these rumours pure conjecture at this point.